Jim’s forte is the financing and acquisition of real estate, private offerings, mortgage lending, business’s, joint ventures, partnerships and limited liability companies using creative techniques. He has developed, owned, and managed everything from single family homes to multi-unit commercial properties and million dollar business’s. Jim resides in Asheville, North Carolina, and is past President of the Carolinas Real Estate Investors Association (CREIA). He teaches investing techniques in North and South Carolina at UNC Asheville, AB Tech and Lorman Educational Services. 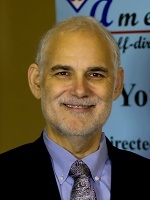 Jim is the Chief Executive Officer of American IRA. Allowing their clients to invest in non-traditional assets, such as real estate, partnerships, limited liability companies, private loans and many other investment choices, American IRA teaches you how to use your IRA or 401k plan to earn tax free income.